While the consensus says a loss of hearing is typical with age, the linkage between dementia and hearing loss is relatively new in the field of audiology. It’s an unfortunate dilemma to be subjected to hearing loss. As we go through life, the sense to hear (for most) is a constant. To have it slowly taken away is painful. Additionally, the fact that it could possibly lead to dementia is a cruel effect. While the consensus says a loss of hearing is typical with age, the linkage between dementia and hearing loss is relatively new in the field of audiology. Luckily, there are a few ways to recognize if hearing loss is leading to dementia, and how it can be stunted. As most conditions go, having your overall physical health in good shape is important, in terms of avoiding harm. If your well-being is sub-par, the body will slowly break down, giving way to other illnesses or conditions. Looking at physical health being a factor in this correlation, it could be something like high blood pressure that leads to it. Regardless, it’s important to maintain a healthy lifestyle. This hypothesis has some merit to it. The theory is that those with hearing loss spend so much time trying to decipher sounds and what they’re hearing, that the brain pulls from memory to translate the information. Essentially, the brain is being overworked to simply understand. Fortunately, there is a way that this can be prevented, or at least hindered to some extent, and that is through the use of a hearing aid. By using a hearing aid, you would be reducing the amount of energy it takes to comprehend what is being said and heard. When hearing loss makes the brain work overtime it can impact the structure, leading to potential cognitive effects. 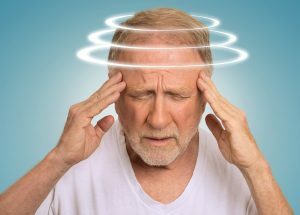 With a restructuring of the brain due to this overworked area, older adults become more susceptible to the process of dementia. Again, however, the use of a hearing aid would bring clarity to those suffering, allowing them to redistribute the energy that was being focused on sound. In many cases, those that have trouble hearing opt for separation away from other people. The struggle to hear leads to a struggle to converse, meaning those with hearing loss don’t want to spend time in social settings. This gives way to isolation, which is a risk when considering dementia. Bay Area Audiology Can Help Protect Your Hearing! This entry was posted on Friday, August 4th, 2017 at 2:14 pm. Both comments and pings are currently closed.